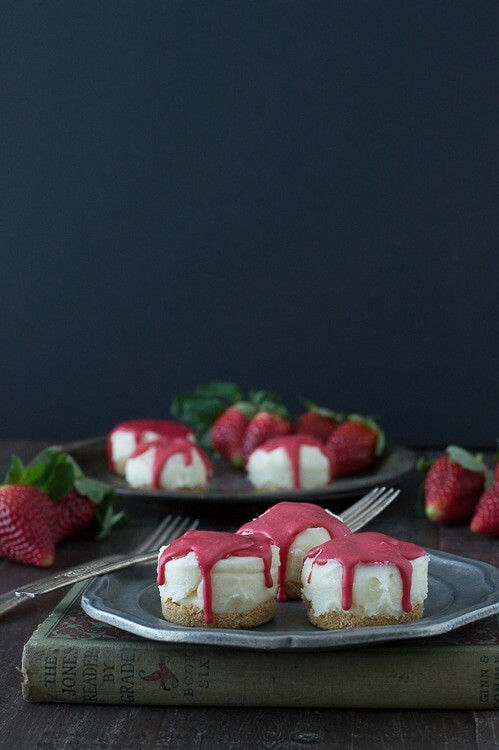 No Bake White Chocolate Strawberry Cheesecakes – the perfect cheesecake for Valentine’s Day! We are crazy about no bake cheesecake. I think I forgot that you could actually make cheesecake that you bake in the oven, because I’ve only done it once. I know.. just wait, there are 3 recipes coming your way for Valentine’s Cheesecake Cake, and I promise they aren’t all no bake. If you’re new to making cheesecake, starting with a no bake recipe is a good place to start because you don’t have to worry about your cheesecake cracking or sagging in the middle, which can happen when you bake cheesecake. 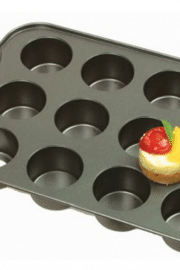 When making mini no bake cheesecakes, you have two primary options of what to put them in – a mini cheesecake pan (this is the same one I have) or a muffin pan lined with muffin liners. 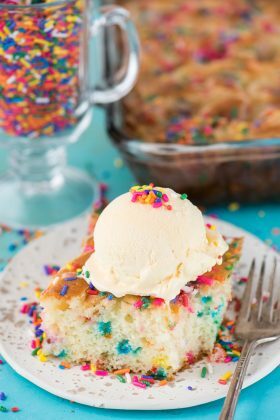 I have used the muffin pan method in this recipe and it works well. 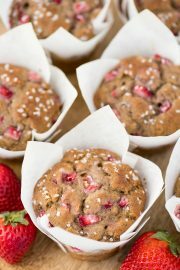 Today’s recipe can easily be made using the muffin pan method, but I would suggest using aluminum muffin liners instead of paper ones because they are easier to remove once the cheesecakes are firm. My favorite part about these white chocolate cheesecakes is the red chocolate drizzle on top. It’s simple to make and really adds a lot of Valentine’s flare. 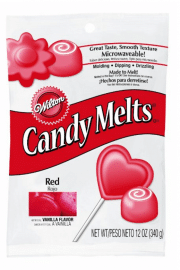 You’ll need a bag of red chocolate candy melts. They should be easy to find in the Valentine’s section of your grocery store, I used Wilton brand. 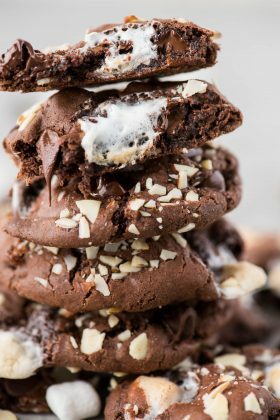 You’ll want to melt the red chocolate melts with a little bit of vegetable shortening. Once the mixture is melted, slowly add small amounts of powdered sugar until the mixture is just thick enough. You don’t want the chocolate to be runny, instead, you want gravity to do the work and make drip lines down the sides of the cheesecakes. There are more details about the red chocolate topping in the recipe. 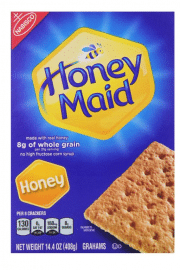 Using a food processor or blender, pulse graham crackers into crumbs. Combine the melted butter with the crumbs, and mix until it’s thick. Lightly spray a mini cheesecake pan with non-stick cooking spray. Place a heaping 1/2 tbsp of graham cracker crumbs in each cheesecake well, and press the mixture down firmly using a spatula. Place in the freezer for 15 minutes to harden. In a small saucepan over low heat, combine the white chocolate chips and heavy cream. Stir occasionally, until the chips are melted and smooth. This may take up to 10 minutes, but keep the heat on low or a little higher than low. Once melted, remove the pan from the heat and allow it to cool on the counter for 15 minutes. 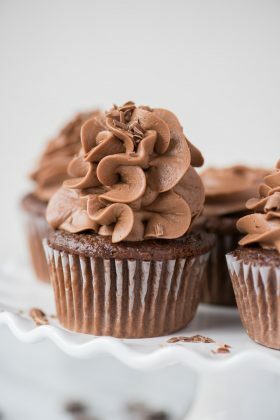 Once the chocolate is cool, combine the melted chocolate and softened cream cheese in a mixing bowl. Beat using an electric mixer until the mixture is smooth and no lumps remain. Spoon or pipe the cheesecake mixture into the cheesecake wells. Use a spatula to push the cheesecake into the well and to smooth the top. 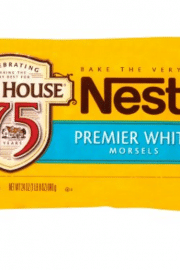 For best results refrigerate the mini cheesecakes over night, be sure to cover with tinfoil or plastic wrap. 2 hours before serving, move the cheesecakes into the freezer. This will help the cheesecakes harden, making them easier to remove. To remove the cheesecakes - Use a finger to press up on the removable buttons, sliding the cheesecakes up and out of the pan. 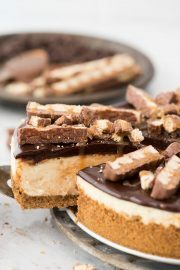 Place the cheesecakes on a small baking sheet and return them to the freezer while you make the red chocolate topping. In a small saucepan over low heat, combine 2/3 cup of red candy melts and vegetable shortening. Stir occasionally, until the chips are melted and smooth. This may take up to 8 minutes, but keep the heat on low or a little higher than low. Once the chocolate is melted, add the powdered sugar to the mixture and stir until no lumps remain. The mixture should be thicker at this point. Remove the cheesecakes from the freezer and spoon some red chocolate on top of each cheesecake. You want the topping to drip down the sides of the cheesecakes. 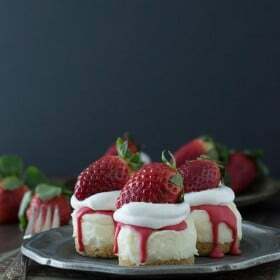 Top each cheesecake with a dollop of cool whip and a strawberry. I used a piping bag to pipe the cool whip on. If you are using the muffin pan method, place one aluminum liner in each muffin well and lightly spray with non-stick cooking spray. Prepare the recipe as directed. If you use the muffin pan method, you may not have 12 cheesecakes at the end, since the muffin cups are larger than the mini cheesecake pan cups. Before serving, remove the muffins liners from each cheesecake, then add the chocolate drizzle, cool whip and strawberry. You know that I love these little cheesecakes! No Bake AND strawberry?! That is a double win in my book. 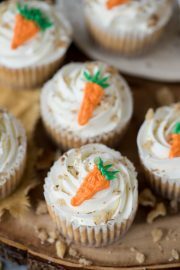 Cheesecake is one of my favorites and these are just plain lain adorable! These might be my favorite cheesecakes ever! That drizzle is sorta magical! Gorgeous! I like how you described it Tanya! No bake AND mini!? These look perrrrfect for Valentine’s Day! OK, Beth…my fork is definitely ready for Valentine’s Cheesecake Week! 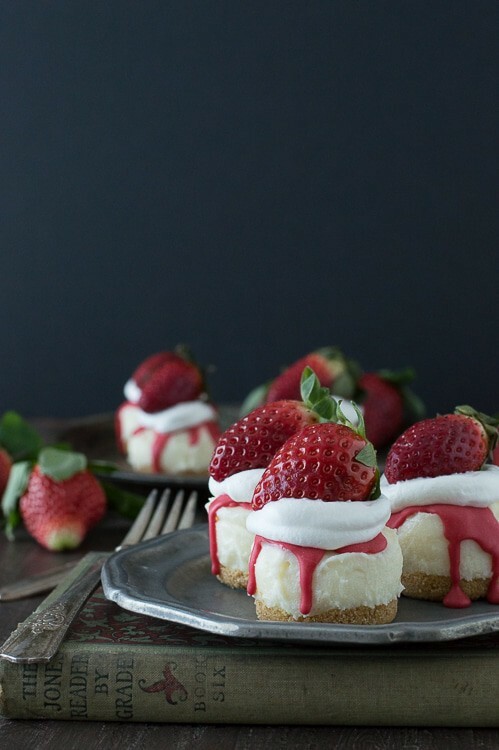 These little cheesecakes look so good. Although I might not be able to stop eating them! You’ll need your fork again for today’s recipe! I am crazy about no bake cheesecakes too girl. These are fantastic! I’m crazy about no bake cheesecake too! I love that these ones are bite size. Glad to hear we have another no bake cheesecake fan! I adore these! And I’m all over the fact that they are no bake! They are so cute and perfect for Valentine’s Day! No bake, cute, and chocolate – makes them perfect for valentine’s day! What a stunning dessert! I love that these are no-bake too, they’d be ideal for Valentine’s Day! Thanks for you sweet comment Joanie! These look like such little bites of goodness!! 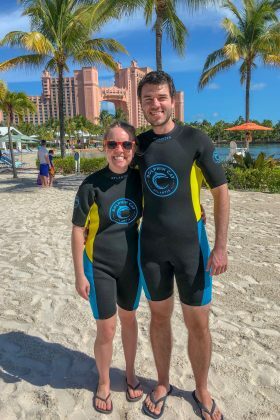 I love that you added a book in your photos! Great recipe! I bought that book at the antique store and I thought it was about time to use it somehow! Woohooo, more cheesecake to come! Thanks for pinning Ashley! I do love a good no bake cheesecake. So much easier and faster to enjoy!! 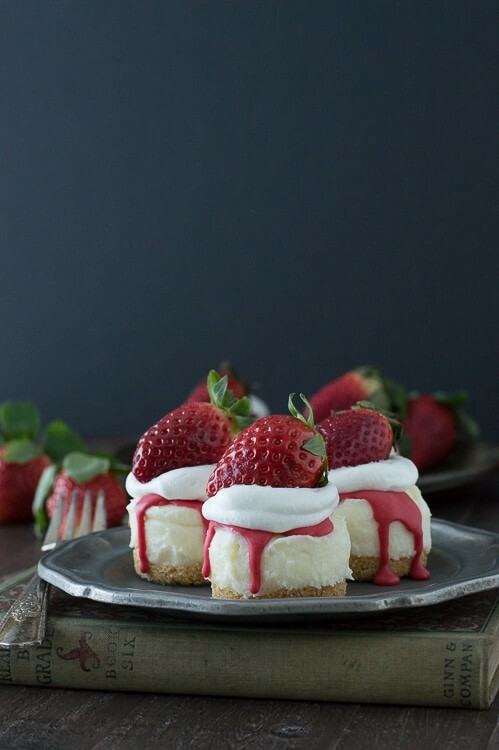 These are so pretty with the red melts, fluffy topping, and fresh strawberries!!! I can’t wait to see what else you made! These are just beautiful! Cheesecake is my favorite dessert… thanks! Stay tuned for more cheesecake recipes Valerie! These are so cute Beth! I just finished shooting no-bake mini cheesecakes as well that I made in mini muffins. Love these, esp the fresh strawberry! Perfect for vday day. It must be cheesecake time of year! 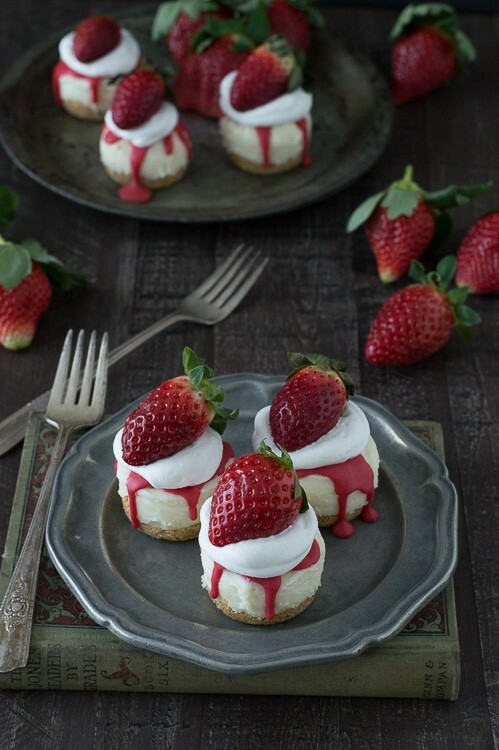 These little cheesecakes are gorgeous! That red chocolate drizzle is not only pretty I bet it’s tasty too! And it’s perfect for Valentine’s Day! Do you know if these would be ok in the freezer for a few weeks? I’d like to make ahead for a wedding.